Make your organization’s event planning efforts easier with this Drink Ticket and matching event kit. Give your guests the freedom to quench their thirst at your holiday event when you give them patriotic Fourth of July Freedom Drink Tickets. 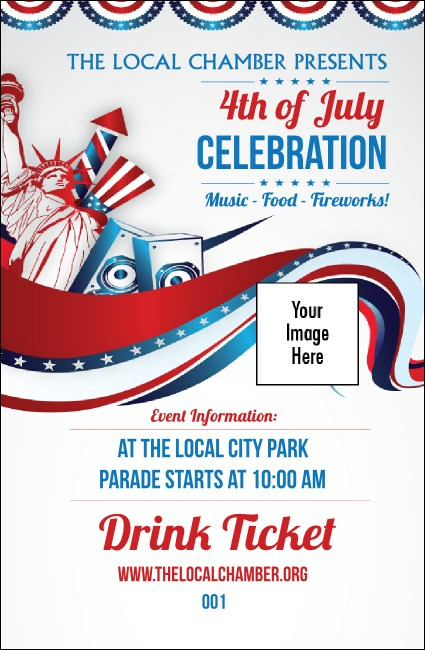 These all-American tickets feature an inspiring red, white and blue theme with a proud Independence Day design and give you space to upload one of your own, unique images. Find the right ticket for your summer event at TicketPrinting.com.